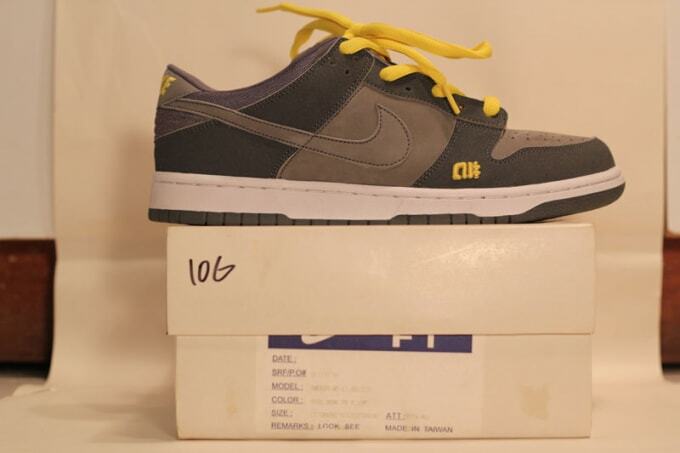 Those were, I believe, the first kind of like collaboration sneaker from Nike. It wasn’t a fully customized one though — the Wu Tang one went a little further because they didn’t just add on to a colorway, they changed the tongue tag. But these, I think there was only 60 pairs of each, the grey pair that I got and some white with the reflective that you NEVER see. They both had the a# sewn into them. But it’s just a dope collab, and no one got those shits, only a handful of cats.